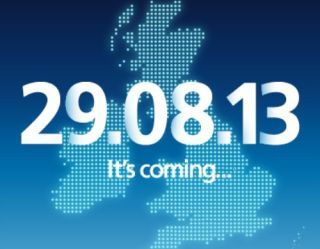 O2 4G network to launch in UK on August 29th | What Hi-Fi? O2 has confirmed the launch of its 4G LTE network in the UK, which is set to go live in Bradford, Leeds and London on August 29th. The O2 4G network has ambitious coverage plans, aiming to bring 4G to a total of 13 UK cities by the end of 2013, with tariffs starting at £26 per month and SIM only and 4G contracts to be offered from launch. O2's superfast network, which uses the 800Mhz spectrum, isn't however compatible with the iPhone 5. The HTC One, Samsung Galaxy S4, Sony Xperia Z and Nokia Lumia 925 are all good to go on the O2 4G network, as is the Sony Xperia Tablet Z.
O2 claims that this lower 4G frequency has the best reach, delivering the best "indoor penetration" and outside signal. A 30-day trial period, after which you can switch back to a 3G contract, is on offer from O2, allowing you to try it for yourself. 4G LTE is currently only offered by the EE 4G network, which now covers 85 towns and cities in the UK and 55% of the population. 4G offers typically five-times faster network speeds for compatible smartphones and tablets. O2 aims to be the "fastest growing 4G network in the UK" by reaching an extra 2 million people per month, culminating in "98% population coverage up to 2 years earlier than the regulatory requirement of 2017". Birmingham, Newcastle, Glasgow, Liverpool, Nottingham, Leicester, Coventry, Sheffield, Manchester and Edinburgh are the other cities slated to get O2 4G coverage later this year. Interested? You can find out more and register your interest in the new network on the O2 4G website.